Sandy Carey, a VFW #2287 volunteer, touches a quilt while explaining some of the patches on it. 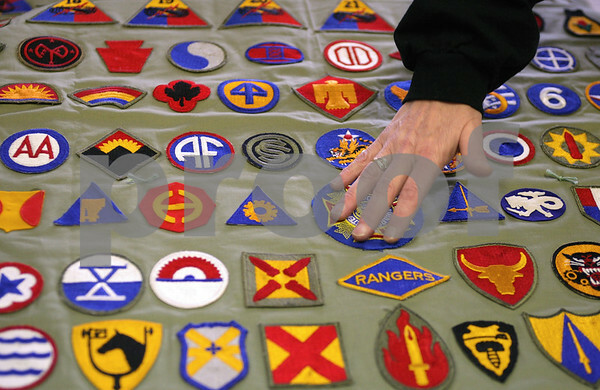 she constructed it out of a complete collection of the Army World War II patches. Carey was at the Bethany Health Care & Rehab center to present the quilt to veteran Calvin Henry, who declined to be photographed, but collected all the patches and gave them to the VFW to make the quilt.